The Perfectionist column, which will run occasionally, explores how to make the best version of a traditional recipe. 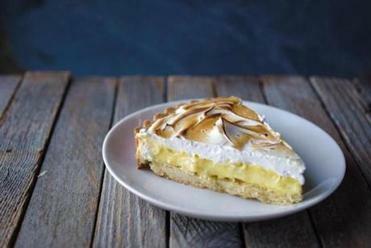 Lemon meringue pie always sounds like a great idea, but one bite and you’re reminded why it’s mainly a diner fixture: the proportion of filling and meringue to pastry dough makes it cloyingly sweet. I began by halving both the quantity of filling and meringue and swapping the traditional deep pie pan for a shallow French tart pan with a removable base. Then I called pastry chef Samantha Eichenberg, a.k.a. the Dessertist, for help. “Instead of making a basic lemon curd, I’d do a curd-custard hybrid,” she said. One way to do that is to stir whipped cream into the cooled lemon curd. It tamed the tang and cut down the sweetness. For advice on the meringue, I went to Maura Kilpatrick, executive pastry chef at Oleana restaurant and partner in Sofra Bakery and Cafe. Kilpatrick has been making the restaurant’s coconut baked Alaska for 14 years. She opts for a Swiss meringue, which involves dissolving sugar in egg whites over a double boiler before whipping them with an electric mixer. It’s easy enough for anyone to do this and create a meringue that’s more stable than the standard kind. 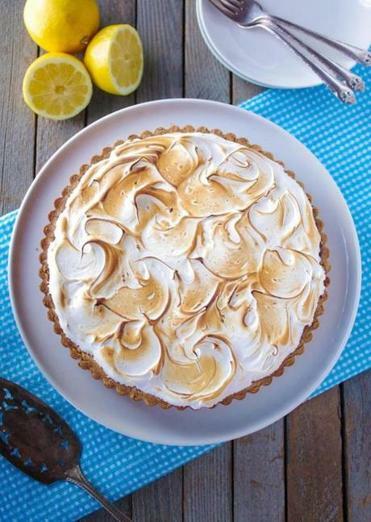 To prevent pesky pools of liquid from forming between the meringue and the filling, known as a “weeping meringue,” spread the meringue over a room-temperature filling and to the crust’s edge. Lemon meringue has just gone from the diner to a very nice dinner. The tart tastes best eaten the same day it’s made.